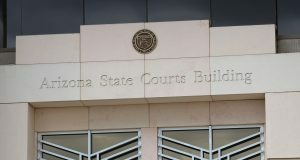 A federal judge has rebuffed a last minute – and untimely – bid by the Arizona Green Party to get itself and its candidates on this year’s ballot. 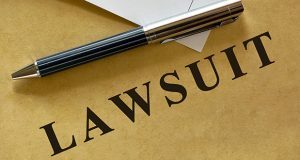 Judge Neil Wake said Robert Barnes, the attorney for the party, provided no evidence that the Feb. 27 deadline to submit signatures to qualify imposes a severe burden. Wake did not dispute the allegation that the deadline – six months before the primary – may be one of the earliest in the country. But he said that other minor parties have managed to comply. The judge also noted that Assistant Attorney General Michele Forney, representing Secretary of State Ken Bennett, laid out all the things that need to be done in that six months, including not just verifying the names on petitions but also providing information for candidates on how many signatures they need to qualify to run in the primary. And Wake said Barnes presented no evidence that the 180 days was not necessary. Monday’s ruling is not going to be the last word, as Barnes has asked the 9th U.S. Circuit Court to intercede. But the chances of the Green Party getting on the ballot this year are fading fast. In fact, the briefing schedule set Monday by the appellate court does not even present an opportunity for the case to be argued before the end of September, a month after the primary. State law says parties can keep their ballot status if their gubernatorial candidate gets at least 5 percent of the vote. Failing that, their registration must be two-thirds of 1 percent of total registered voters. The last voter count in 2013 had just 5,601 Green Party registrants, only about a quarter of what it needed. So, Bennett declared them ineligible for the ballot. The law, however, does allow a party to requalify with a petition drive, gathering 23,041 valid signatures by the Feb. 27 deadline. Unable to meet that, the party sued. In his 12-page ruling, Wake said the state’s requirements for a party to get actual votes, have sufficient registrants or gather signatures is proper. He said the Green Party’s effort falls short. For example, he said, there was nothing to show that the February deadline increases costs in gathering signatures. Potentially more significant, Wake noted that, despite the burdens, both the Libertarian and Americans Elect parties have managed to qualify – as has the Green Party in prior years. Anyway, the judge said, it’s not like the problem is permanent. Wake noted that by the time the case came to his court earlier this month, Barnes said they had finally gathered more than 27,000 signatures. The judge said that leaves the party plenty of time to file to regain ballot status for the 2016 election. Judge Wake’s decision violates precedent. The US Supreme Court has ruled 3 times that early petition deadlines for newly qualifying parties or independent candidates are unconstitutional (Arkansas 1977, Maryland 1977, Ohio 1983). There are 55 lower court precedents invalidating early petition deadlines. There are plenty of alternatives for Arizona to have a later petition deadline: Arizona can permit newly-qualifying parties to nominate by convention, as most states do; or Arizona can make the petition deadline for primary candidates simultaneous with the deadline for the party petition itself, as South Dakota and North Dakota do (that would permit Arizona to have a May 28 deadline for the party petition). Also newly-qualifying parties can easily nominate by write-in at their own primary. Regarding partisanry and balloting in the state of Arizona: an Arizona voter’s party affiliation determines what her or his ballot looks like. So, if you are a registered Republican, you only are able to choose from Republican candidates in a primary election. So for example, historically, I do not vote along partisan lines, rather, I have researched the electors and made a decision at the voting booth based on the merit of the individual candidates. However, I cannot do that in Arizona. The partisan balloting method in this state has removed individual electoral power from Arizona voters, and gives it to the respective (state?) partisan caucus. This is a violation of the U.S. Constitution’s provision of an individual citizen’s right to vote. The current paradigm does not even amount to a representative democracy; and of course, it has implications regarding the legitimacy of legislation concocted by unconstitutionally elected lawmakers.